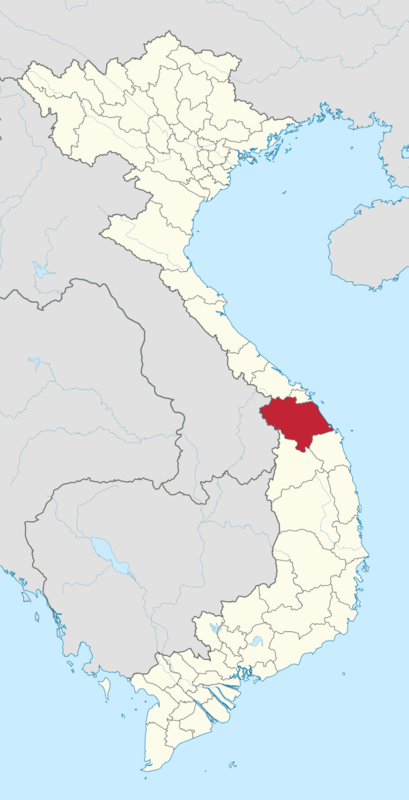 Quảng Nam was once the political and near the geographic centre of Champa. For some time both the most powerful city-state and the busiest Cham port (at Hội An) were located in what is now Quảng Nam. Trade in luxury goods from the Central Highlands was the basis of this wealth and power. As a result of warfare with Vietnam, the centre of political power of the Cham shifted south to Vijaya. The trade in luxuries continued for some time under the Nguyễn lords but declined gradually, especially under the Nguyễn Dynasty and further in colonial Vietnam, when the economic focus shifted to the agriculture of the large river deltas. Quảng Nam was the site of heavy fighting during the Vietnam War. Notable battles and operations include Operation Chinook 1966–67, the Battle of Hill 488, Operation Swift, Operation Wheeler/Wallowa, Operation Union I & II, the Hue–Da Nang Campaign, the Hà My massacre and the Phong Nhị and Phong Nhất massacre. Industrial GDP has been the main driving force of Quảng Nam's economy in the first decade of the century. In 2010 it contributed 40.1% to the provincial GDP, up from just 25.3% in 2000 and employed 99,600 workers in 2007, compared to 51,600 in 2000. Industrial GDP has increased 2.48 times between 2000 and 2007 and continues to grow at around 20%. Chu Lai Economic Zone is located in the south of the province along National Road 1 and is the site of many of the province's factories. A smaller industrial zone is located in Tam Kỳ with factories producing electrical equipment, garments, and processed wood. Major industrial export products include leather shoes (US$51.26 million in 2007), garments (US$31.33 million), wooden products (US$8.587 million), and paper materials (US$2.136 million). Industrial products more oriented towards the domestic market include fish sauce (3.69 million liters), bricks (253 million pieces), fabric (52.5 million meters), and hand farming tools (2 million pieces). Qnag Nam has the biggest gas warehouse in the central area: Total Gas & Power Co. Ltd's Ky Ha gas warehouse.